More than just a Maryland Hip Hop artist, Knowledge is becoming the voice of those victim to their government's lies and deceit. A revolutionary and intense underground rapper with the throne in his sights, trust that his presense is not to be taken lightly. While his lyrics are controversial, they are tightly woven together with meaningful ideas and circumstances based on FACT. The scenerios expressed through his lyrics have either been lived by, or seen through the eyes of, Knowledge himself -- a young but seasoned veteran, raised by the streets to follow a strict code of honor. Knowledge has been reaching out to the world after his most recent release, Left 4 Dead, which has continued to grow increasingly popular over the past few months. This has kept him quite busy, along with the anticipation of his next release, God of War II, growing steadily by the day. With a constant mix of street Hip Hop, and vivid references to global struggles, he proves that world politics and politics within the Hip Hop culture are almost one in the same. As time passes, expect to hear his striking lyrics on an even more street influenced level, which often forces him to show his hate for authority and governing bodies, while showcasing his lyrical versatility on the mic. Since Knowledge was an infant, he rebelled against authority, resulting in institutions and detention-style schools since first grade. Born in Maryland, he was forced to move from state to state many times while growing up, due to expulsion from school, or legal problems resulting from his parents' involvement in criminal activities. Whatever the reason, he would quickly adapt to every new area, and always showed signs of maturity by becoming a strong leader. Finally, however, the back and forth would come to a halt as he became a young adult. Upon the completion of various boot camps and detention centers in Central Pennsylvania, Knowledge found himself once again returning to Maryland for one last time. It was around this time when the hustle really started to set in, and his street credit and respect became impossible to ignore. There is no room for self glorification, but those who know him, and know what went on as the following ten years passed, will surely cosign the fact that he did the damn thing, and kept it real through thick & thin, no matter the situation or circumstance. Fast forward to 2006, when involvement in an undercover sting operation set him back a few years, and put life on pause. or so it would seem. Instead of disappearing from the streets and choosing to do nothing with himself during the last three years of dealing with probation and drug court, he decided to pursue an old hobby and passion that had been dormant for the past 10 years of 'life in the fast lane', Hip Hop. Always a part of his life, in one form or another, Hip Hop would prove to be the savior of a soul which had become lost in a sea of hate and regret. By focusing his energy into his lyrics, Knowledge found a way to share his real life experiences with others in hopes that they may understand what he has been through. His lyrics often relate to his experience against the corrupted monster known as the "Justice" System. Although you may not like every word you hear, rest assured, you will respect every syllable that pounds out of your speakers. With a confidence that is unmatched, and a delivery that cannot be confused with any other, Knowledge will grab the attention of ANY and EVERY listener from the second he starts, until long after his final song goes silent. Though he remains an underground emcee, and out of the bright light of the mainstream, he is surely getting his point across to the limitless underground fan-base of truth-seekers, and soldier supporters who both believe in what he represents, and support his cause until the end. That which he represents is TRUTH, live in the flesh. The cause which he stands for, is HIP HOP, and the lessons & messages that go with it. 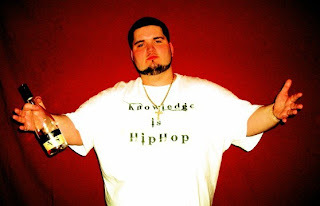 Knowledge is Hip Hop: more than just a name or a phrase, it's a movement! Either choose to move with it, or get Left 4 Dead.